Only organization Owners and Admins can create projects. GLIDR is a permission-based platform and there are two levels of permissions: organization-level, and project-level. 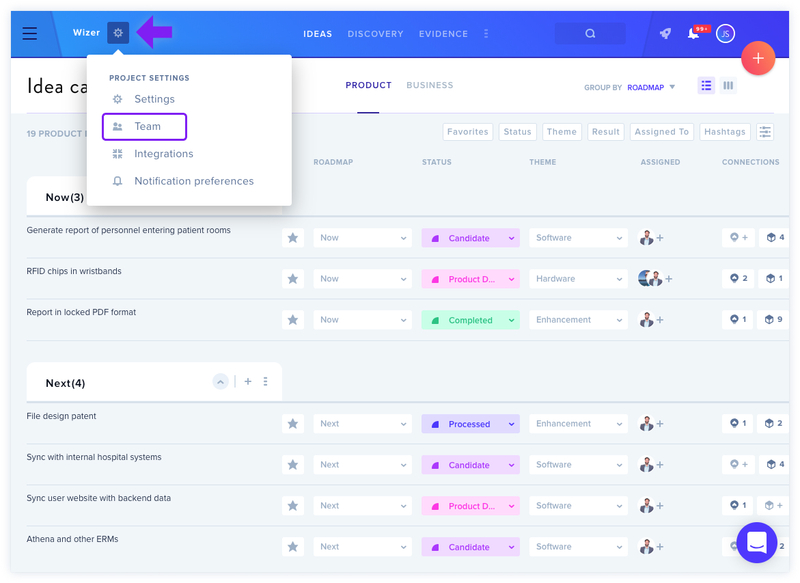 To set project-level permissions for your team members, first navigate to the Settings Icon next to the Project name. Next, click Team. Here, you'll be able to see all of the current team members lister with their permission levels. 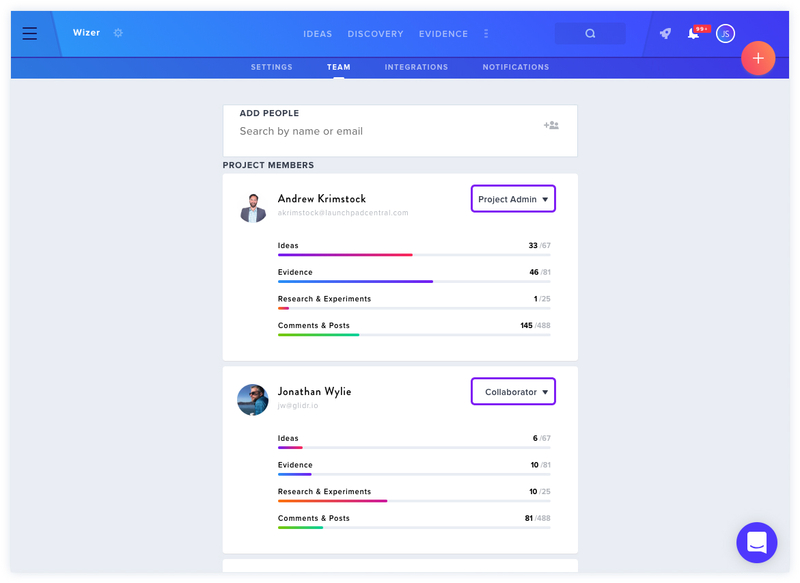 Users can be added to a project as a Project Admin, Collaborator, Commenter, or Observer. Update project settings, such as the project name and visibility. Upgrade and downgrade teammates' permissions. Add team members from those who have already joined the organization. Remove team members from the project. Integrate the project with Slack. Update the Canvas section labels. View all sections of the project. Create, edit, delete, and connect cards in the project. Comment on all cards in the project. View all cards and sections of the project. NOTE: Cards refer to Posts, Evidence, Ideas, Experiments, and Research. To find out more about managing your Organization, click here.